PSVG OT 39: Did we miss something? Dev and Mo are back to talk life. School is back in session so what does that mean? PSVG OT 35: Number umm, why don't we know this? They might be a day late but never a dollar short, Coach and Dev return for a very late night (for Coach) version of PSVG OT. Let the hilarity ensue! The OT is back with it's patented brand of unpreparedness...so unprepared it almost didn't have a host... our victim....ahem I mean guest tonight is the Nintendame herself Caro! Dev, the Coach, and the Capri. Lets do this thing. In our relationship building and story podcast we invite the man Sean (like Connery) Capri (like the pants) to be just as unprepared as every guest and step in the ring with Coach and Dev, is he ready for this? We certainly hope not. Coach and Dev are back with another week full of life lessons and life stories, this is our first episode post merge with the make us better community. So naturally we had to make a big deal of it and have a special guest, Ghost! No Dev isn't talking Destiny again, but Mr Luke Lohr joins us for all festivities on this pod! Follow him especially at https://mixer.com/InsipidGhost for all his gaming streams. Do we know what episode it is, No. But we do know we about to bring it. Coach and Dev back together again! This week our boy Dev is MIA, where is he, no one knows! Ok we know he's in Houston with friends and family. But filling his chair in the OT this week is none other than Mr. Luke Lohr! Lets see how this goes. Coach and Dev are back at it again with another OT, this week they have a special victim...I mean guest in the LoboRican himself Q, Kevin is also along for the ride. 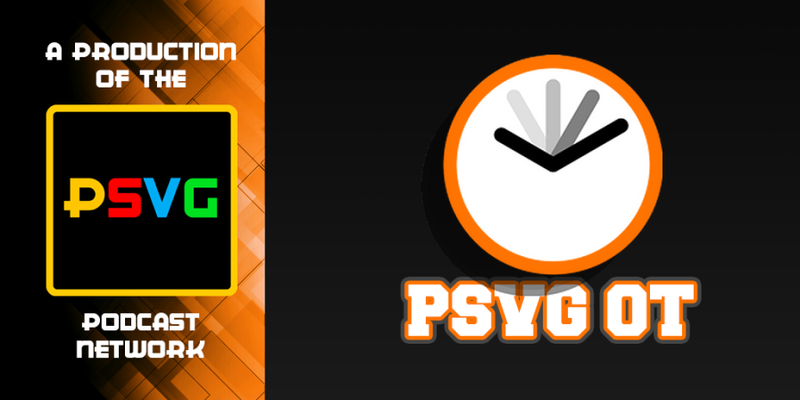 This is the second part of PSVG #MakeDevSwitch with a BONUS PSVG OT 27 - added to the end! Trust us, you do not want to miss this one! Coach goes wild with an awesome team with great announcements (and robot voices) to be had!